We are going to try a new feature on ENRL. 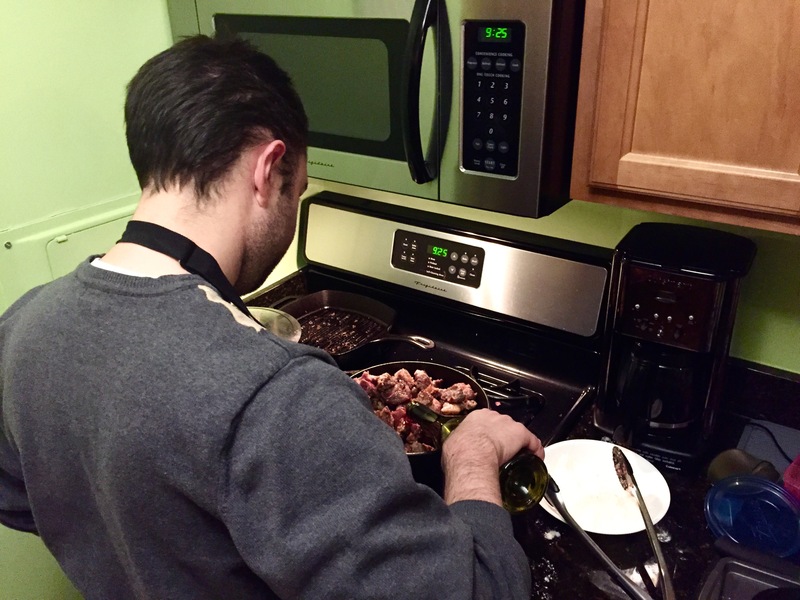 We cook often, and we want to share our favorite recipes with everyone. There certainly will be some trial and error but that is part of the fun of cooking. First up, a Pinot Noir-Braised Pot Roast with Mashed Potatoes, recipe courtesy of Cebo in Geneva, NY and Chef Ben Dailey. We found this recipe in Food & Wine magazine, of which we are avid readers. Full disclosure, we have made this dish once before. 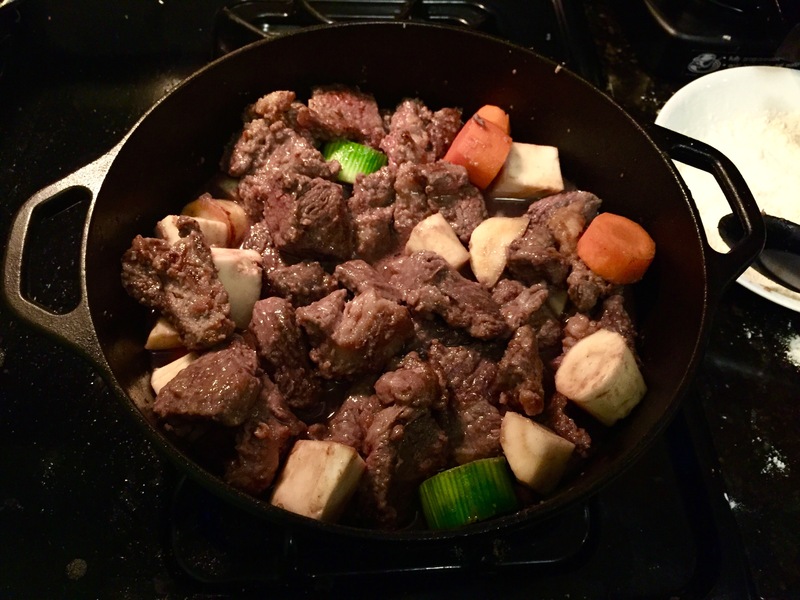 There are not too many ingredients in this dish: mainly chuck roast and root vegetables. Okay, there are some tubers as well if you want to nitpick. The thing about the recipe is that it takes time to break down the chewy chuck. We omitted the pickled red onions, mainly because of the time factor. 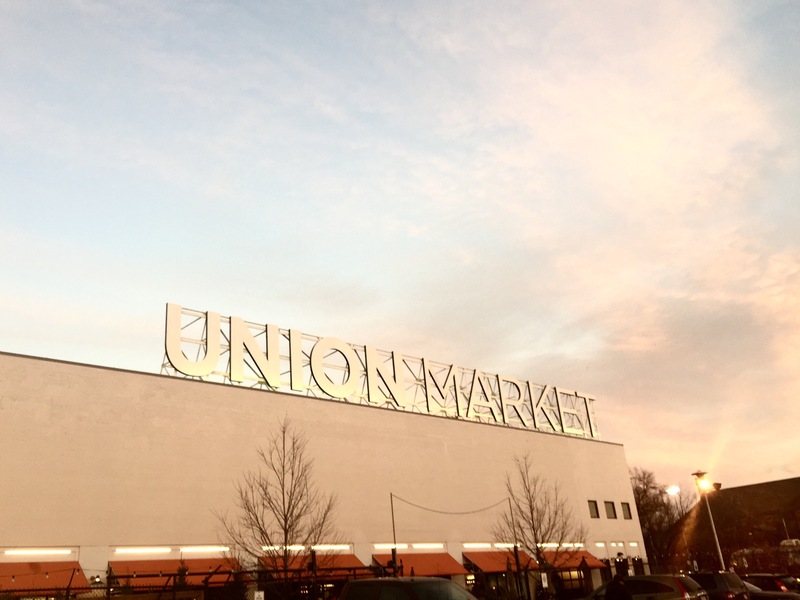 Since it was a Saturday we had time to shop, so we did our ingredient hunt at Union Market. 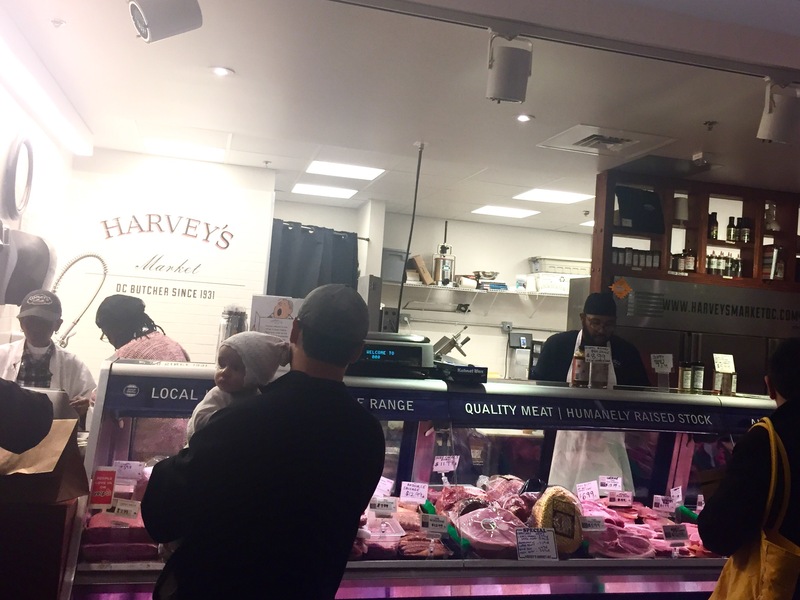 We got the chuck roast, which was sourced from Roseda Farms in Monkton, MD, from Harveys Market. 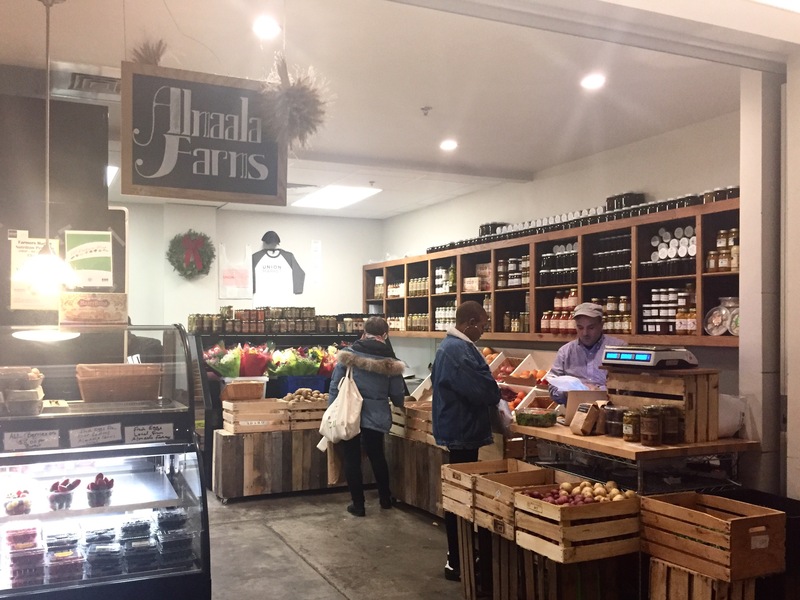 Roseda Farms, in northern Baltimore County, provides beef to area restaurants including Woodberry Kitchen in Baltimore and 8407 Kitchen Bar in Silver Spring. 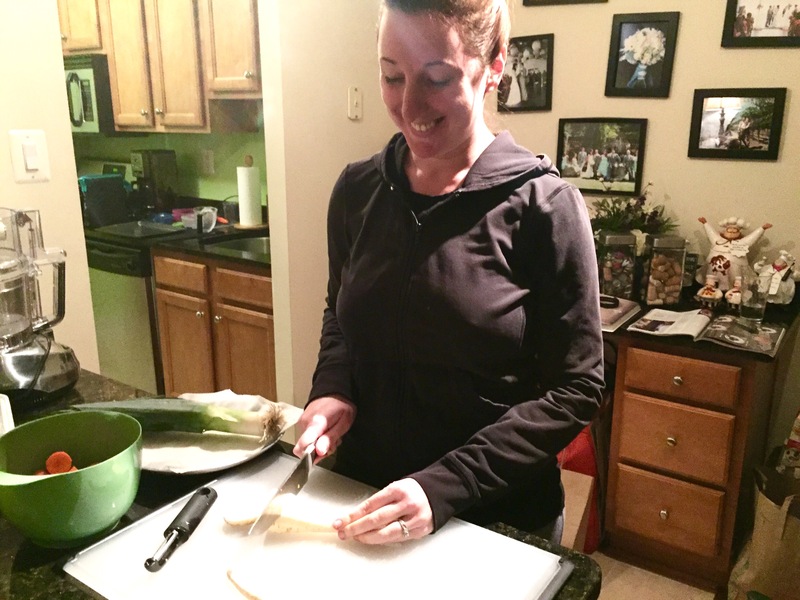 Our celery root, leeks, carrots, parsnips and onions were from Almaala Farms, which grows its produce on the Eastern Shore. Finally, the all-important bottle of Pinot Noir was from Cordial. We couldn’t help ourselves and also got a bottle of Untitled Whiskey No. 3, aged in Vigilante coffee barrels, from Ivy City’s One Eight Distilling. Assembling the dish is not difficult; it just involves some peeling and rough chopping. I cut the chuck into small cubes while Marnay peeled and cut the vegetables into 1 inch pieces. We kept some fat on the meat for flavor, but didn’t keep all of it. Next, we browned the cubes of meat in our cast-iron dutch oven. The purpose of browning is to give the meat flavor, not to cook it. There will be plenty of time to cook the meat. Once the meat was ready, we removed it and added the vegetables, also to brown. We did not add the potatoes or onions because they are used for the mashed potatoes. After the vegetables are browned, we put the meat back in and then poured the entire bottle of Pinot-Noir into the dutch oven, as this is the braising liquid. After adding the wine, your job is basically done. Stir the pot occasionally and return in one and a half hours. In the meantime, we started the mashed potatoes, another set-it and forget-it dish. All we did was add the potatoes and onions to a large sauce pan and then we covered it with water. Once the water is boiling, we added a generous pinch of salt and let it cook for 40 minutes. Again, lots of downtime. During our downtime, we made negronis! 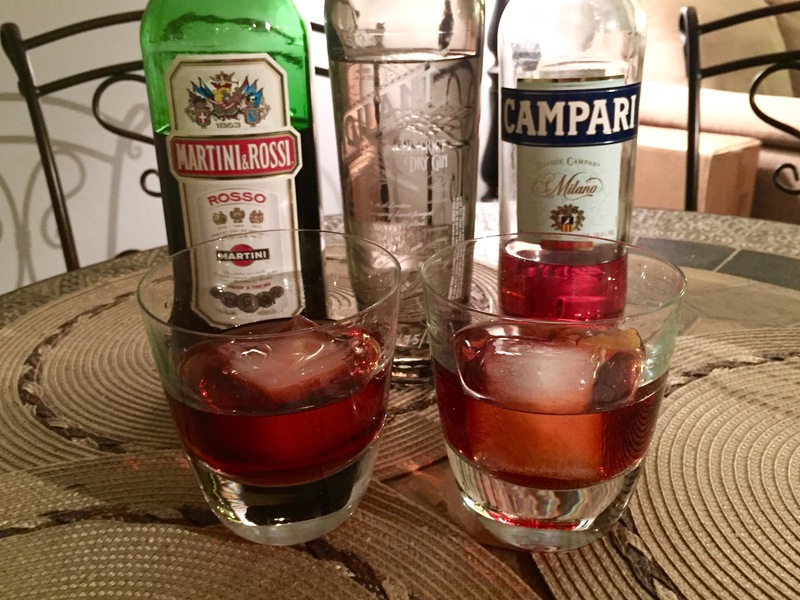 A negroni is equal parts gin, Campari and sweet vermouth. Our gin is from Joseph A Magnus distilling, also in Ivy City. To go along with our drinks, we watched Somm: Into the Bottle, a sequel to the film Somm. I think that the original Somm is required watching for any foodie who wants to know more about wine. When the potatoes are done, they need to be drained. After that, we added the butter, salt and pepper and whisked it until it was creamy. When we took the lid off of the dutch oven, the ingredients had soaked up the wine and the alcohol had cooked off, leaving an intoxicatingly fruity essence. We took a scoop of mashed potatoes in a bowl and layered the pot roast on top, a rich and satisfying meal for a cold winter night.